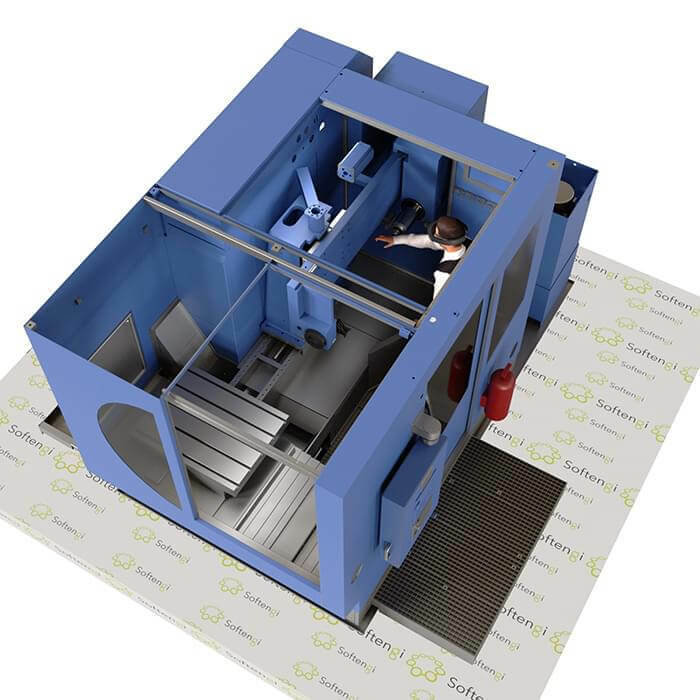 XR is a unique technology that can solve multiple problems in the manufacturing sector. But there is one challenge that can be solved with the help of XR once and for all. It’s a costly and problematic logistics of heavy and bulky machinery. Imagine the company that produces deep drilling units for metal constructions. This equipment is huge, and it weighs several tons. To locate a similar piece of equipment in the building you would occupy the space of the whole room. The logistics of such a tool is not cost effective. But there is often the urge to deliver this piece of equipment to the exhibition or to show it to potential clients during negotiations. Seeing is believing after all, especially when it comes to the demonstration of machinery. The solution of this issue is the top-notch technologies: with digital twins created in XR a manufacturer deals with the problem of transportation once and for all. What is a digital twin? It’s a virtual model of a product that can be seen with the help of virtual/mixed/augmented reality applications. We’ve built an XR application of equipment for our German partner that produces heavy equipment for drilling. Using this app, anyone can see a 3D model of this advanced piece of equipment and locate it anywhere in the world. It’s possible to adapt this app to MR glasses or use it as an AR app. Creating digital twins of the equipment has several serious advantages. 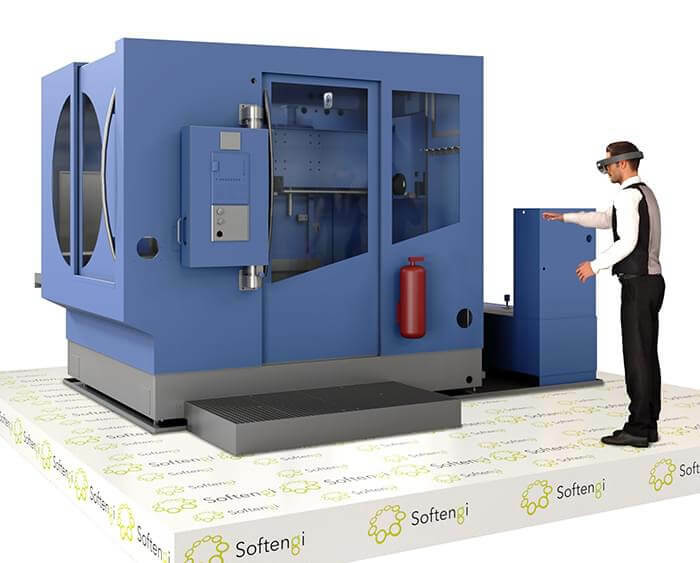 First, it is easier to build a mixed reality application for the visualization of deep drilling machines than to transport new models to the exhibition. 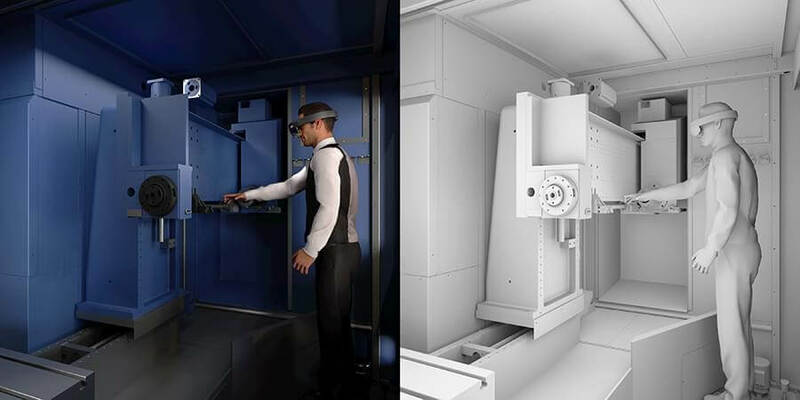 Second, it’s possible to create a scalable 3D model of the machinery which will be fully interactive. What does it mean? A user will be able to look inside the equipment, check how the engines work, and choose the most comfortable size to explore the model. What are the advantages of digital twins for manufacturers? Today, using CAD, CAM sketches we can create 100% accurate digital replicas of any piece of equipment paying attention to the smallest details. It’s possible to adapt a 3D model into AR application for mobile phones and tablets or MR application for HoloLens thanks to the identical code. All digital twins are interactive. A user can examine a piece of equipment from all the angles, touch it and move some of its parts, he/she can listen to the equipment working! Photorealism of the equipment and the ability to see it in full size ( all the models can be scaled) contribute to the realistic perception and full immersion of the potential client into the process of exploration. It’s not the only benefit of AR in the manufacturing industry. With XR in manufacturing it’s easy to visualize future non-existing products as well to demonstrate them before they are even produced. It’s possible to demonstrate even the biggest and the heaviest equipment anywhere at any time. It’s easy to train new staff using interactive guidelines overlaid over physical equipment. It’s even easier to make equipment control and maintenance more effective and less risky using digital twins as references. If you want to receive a consultation on VR/AR/MR, please complete this form to contact one of our specialists.